In the summer of 2003 I got skin cancer, fractured my foot, and turned 50. 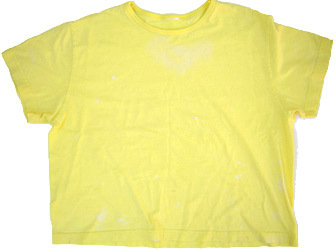 During that time I bought a bright yellow tee shirt and called it my "happy shirt" to buoy my spirits. Now I have a whole collection of happy shirts. This one is the original.